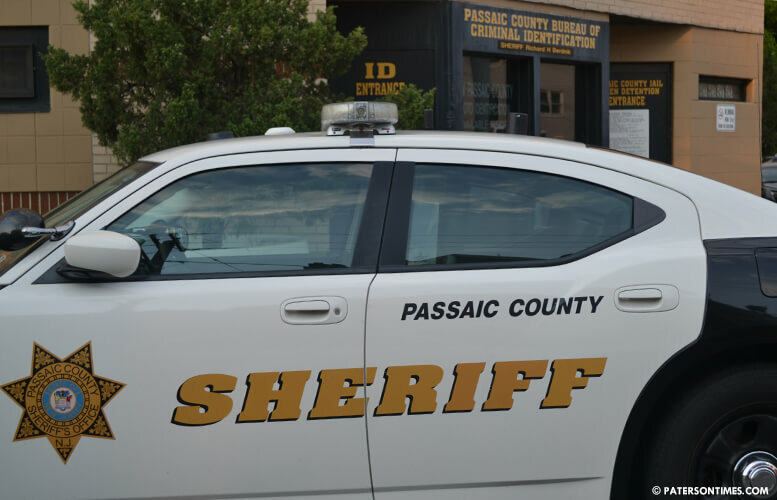 A city man has been arrested after allegedly rear-ending a Passaic County officer’s patrol car on Broadway and Rosa Parks Boulevard on Friday afternoon, according to Passaic County Sheriff Richard Berdnik. Juan Carlos Carrillo Ruiz, 41-year-old, has been charged with aggravated assault, assault by auto resulting in bodily injury, and eluding police. Authorities said Ruiz ran a red light at the intersection with his Volkswagen Beetle convertible at around 3 p.m. and struck the rear of officer Jason Michaels’s patrol car. Michaels’s unit went up on the sidewalk and struck a U.S Postal Service mailbox and a parked vehicle. His vehicle sustained damage in the rear passenger side tire, driver side bumper, and fender. Michaels tried to chase the driver, but his car became disabled on Madison Avenue and 12th Avenue due to the damaged tire. A short time later, police located the Beetle on Madison and 14th avenues. Berdnik said an investigation led to Ruiz being identified as the actor and charged. Michaels was taken to St. Joseph’s Regional Medical Center for treatment. He was released from hospital a short time later, authorities said.